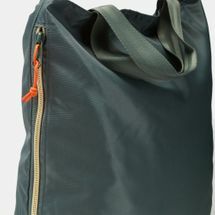 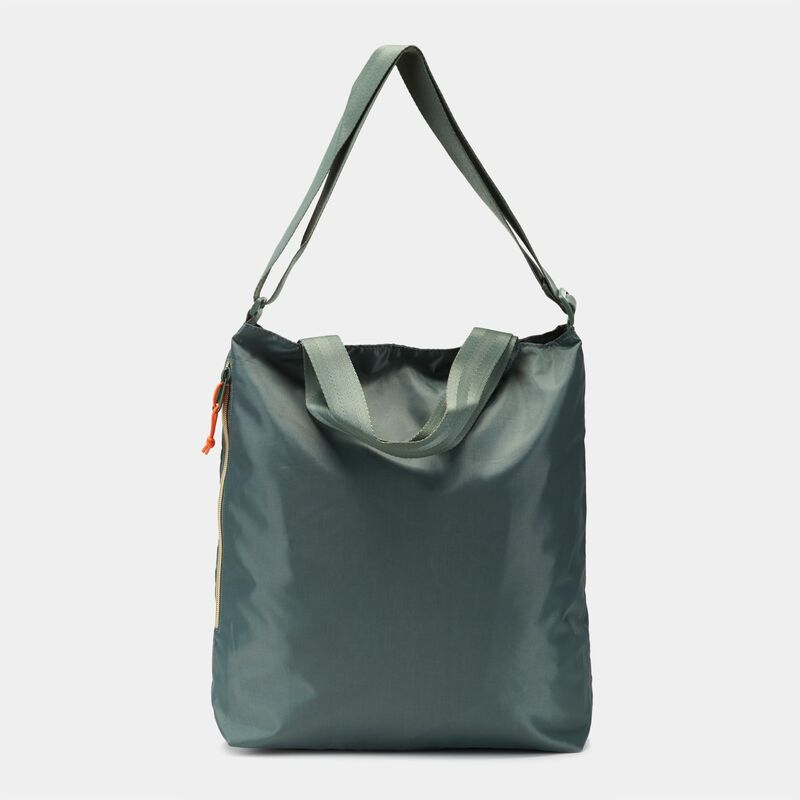 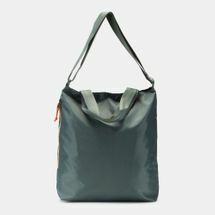 For a sleek bag, here's the PUMA Core Shopper Seasonal Bag for women. 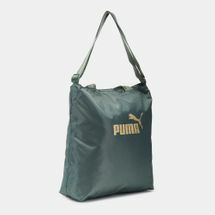 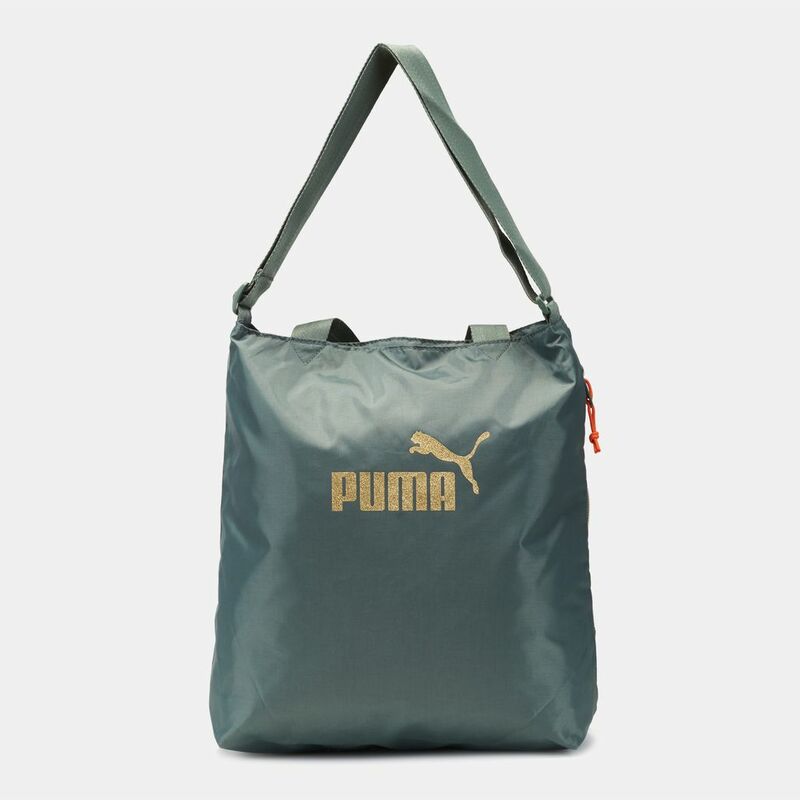 It has a metallic fabric, zip opening for its main compartment with PUMA No. 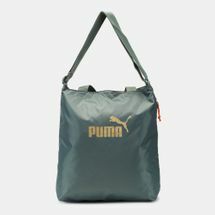 1 logo on the front.